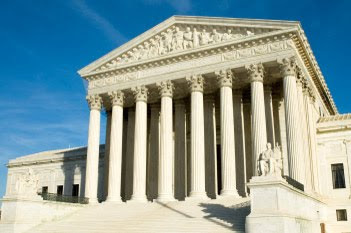 On April 19, 2010, the U.S. Supreme Court will hear oral arguments in Christian Legal Society v. Martinez, a case that will determine whether a public institution can refuse to officially recognize a religiously based organization that prevents those who do not share its religious and moral values from becoming voting members. The case arose in 2004 when a chapter of the Christian Legal Society (CLS), expressed a desire to register as an official student group at the University of California’s Hastings College of Law. Groups that are officially recognized by the school enjoy certain privileges, including public funding. But CLS requirements effectively bar non-Christians and non-celibate gays and lesbians from becoming voting members or assuming leadership positions, which is in direct conflict with the law school’s non-discrimination policy. After six years of litigation in lower courts, the case is now before the Supreme Court. The high court’s decision could be narrowly tailored and impact only educational institutions, or could be broad and sweeping, affecting the rules governing a wide array of groups that accept government funding.